After eight years of struggle, communities in Santa Cruz Barillas, Guatemala, are celebrating a decision by Spanish company Ecoener-Hidralia to leave Guatemala and start the “process of extinction of Hidro Santa Cruz S.A”. The Dec. 29 announcement signals the end to a tragic legacy of political persecution and imprisonment, criminalization of resistance, threats and the murder of social leaders. The aggressiveness of the hydro dam’s proponents reached its highest point with the murder of community leader Andrés Pedro Miguel, attributed to security officers hired by the multinational company. Legal authorities, even in light of undisputed evidence, decided to keep this crime unpunished. The outrage of communities was used as an excuse by the Guatemalan government, led by Otto Pérez Molina, to declare a state of emergency in the area and imprison several people. “As the people of Barillas we see this as a great victory. This is an important achievement towards the defense of the territory and the natural resources of the people, and it is a message for other companies in the country and the world”, said Basilio Tzoy, member of the Departmental Assembly of Huehuetenango and CEIBA – Friends of the Earth Guatemala, in an interview with Real World Radio. Tzoy believes that the “key factor” for this victory was the struggle of “the people through community consultations since 2007, and then with the support of different organizations and individuals who opposed the state of emergency in 2012 and advocated for the freedom of the political prisoners”. Tzoy also highlighted the importance of the solidarity shown by regional and international organizations that acted to stop the advance of the project, for instance through the International Mission on Human Rights carried out in 2013 in the framework of the 5th Latin American Meeting of the “Network of People Affected by Dams and in Defense of Rivers, Communities and Water” (REDLAR). Another important action, according to him, was the delivery of over 23 thousand signatures gathered by Friends of the Earth Spain and the Alianza por la Solidaridad to the Guatemalan Ambassador in Spain, demanding the definitive withdrawal of the multinational company from the country. 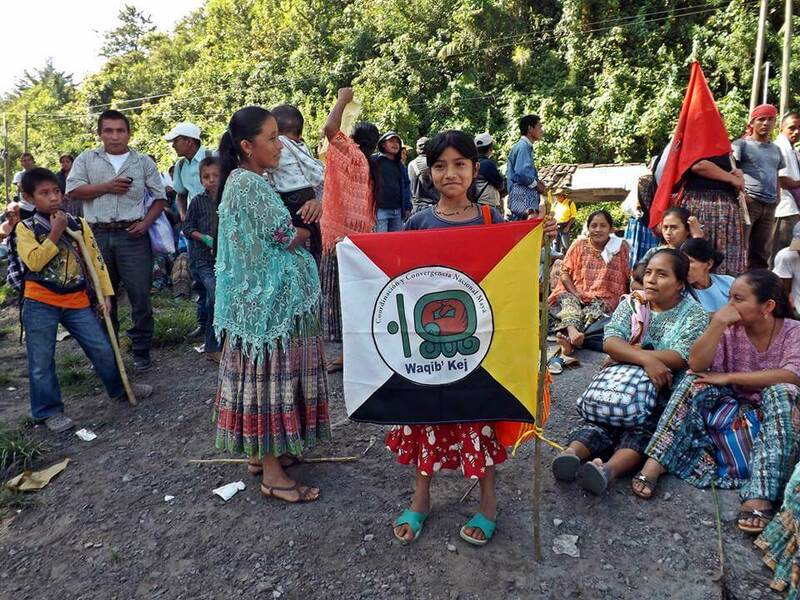 In addition to celebrating this victory, the communities have identified as next steps to strengthen the solidarity with the q’anjob’al and chuj peoples of San Mateo Ixtatán municipality, who are facing the advance of hydroelectric projects owned by company Promoción y Desarrollo Hídricos (PDHSA). According to Tzoy, the leaders of these communities, who live in a heavily militarized territory, have “over 17 arrest warrants against them and over 50 legal complaints”, for defending their territories. With reference to the territories occupied by Hidro Santa Cruz, the activist said that starting next year, the local organizations will meet to define how they will be recovered. In the framework of the 20th anniversary of the peace agreements today, December 29th, Tzoy said that Guatemalan social movements have been meeting for over two months now, carrying out actions to demand the State the right of Indigenous Peoples to their territories and to denounce the attacks and criminalization of the struggles of the communities. As a conclusion, Basilio Tzoy addressed “the people of Latin America and the world resisting neoliberalism: the struggles take long and are hard, but the fruits can be reaped as long as they persevere”, said the Guatemalan leader. This article was originally posted at RadioMundoReal.fm.It has been edited and re-published at IC under a Creative Commons License.